Your garage door is a part of the curb appeal of your house. The door can be one of the first things that a person sees when they pull up to your house. It is important to take care of the garage and ensure that it increases the curb appeal of your home. It might seem like an easy task because how many problems can your garage door have? 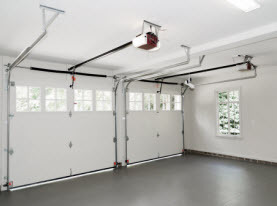 If you think about it the garage door is the largest moving part of your home and it is has many moving parts. That is why continued maintenance on the door is important. The other aspect of the garage door care is the aesthetics of the door. This can be keeping the door looking clean as well as repairing any damage to the door as well. What Can Damage Your Garage Door Panels: There are many ways that you can end up with a dent in your garage door. One is from the same item that the garage is used for and that is your car. Occasionally you might pull up to fast or not pay attention and hit the garage. You also could have kids playing outside the house with balls or other toys that can end up being thrown into the door. They can cause a dent in one of the panels that you may want to have cleaned and repaired. Other ways that your door can become damaged is from wind that throws items around or storms that send hail through the area. You want to make sure that you assess the damage and decide what needs to be done to repair it. 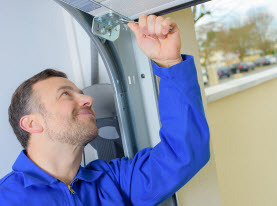 Repair the Dent on the Garage Door Panel: You can attempt to repair the dent that has been made into your garage door panel. You want to make sure that you are ready and have all the tools to attempt it. One way to do that is to use a wood block that you can set behind the dent and a rubber mallet to carefully hit it back in place. This takes some finesse and control to ensure that you do not cause the damage to get worse. You can also try to fill the gap that was created. This means you need to prepare the area often by sanding down some of the topping. Then you need to get the proper filler that is for the material of your garage door. This method is best used if you have a wood garage door. You then want to make sure that you use care when trying to match the color of the door panel that you are repairing. 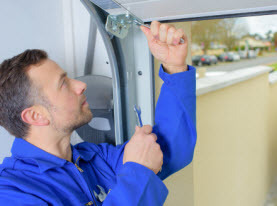 Garage Door Panel Replacement: There are times that attempting to repair a panel that has been damaged is not the best option. You may need to call a professional that is able to come out and replace the panel that has been damaged. We can look into getting a panel that will match the others or offer a new door replacement if we are not able to match the door properly. 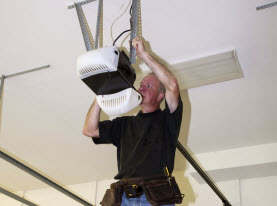 Vegas Valley Garage Door Repair is able to repair your damaged garage door or replace it when the time comes. Call us today to have one of our technicians sent to your house and get your door rolling again.